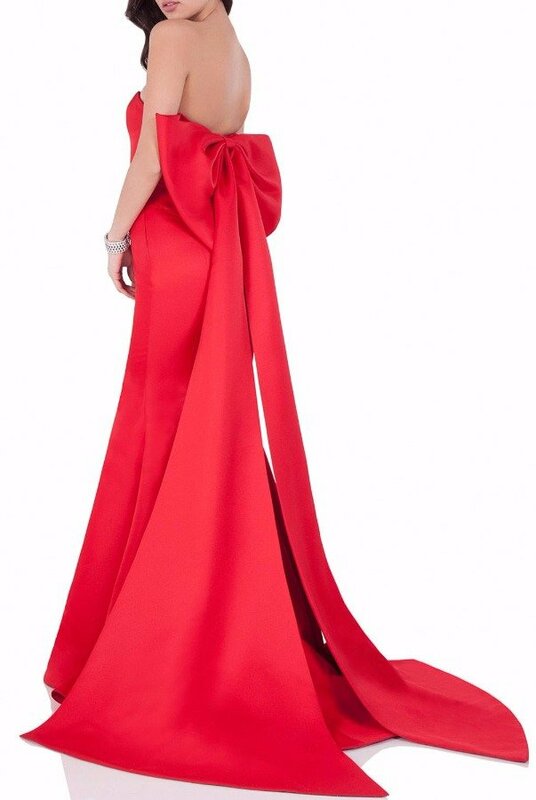 Command attention in this evening gown from Terani 1622E1579. 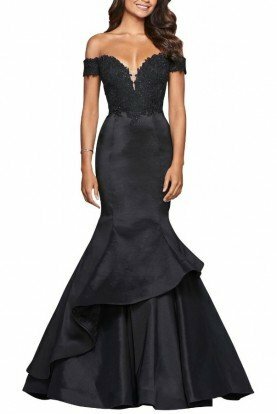 Strapless, this dress has a smooth sleek bodice. The skirt has a soft flared shape with a full length hem. 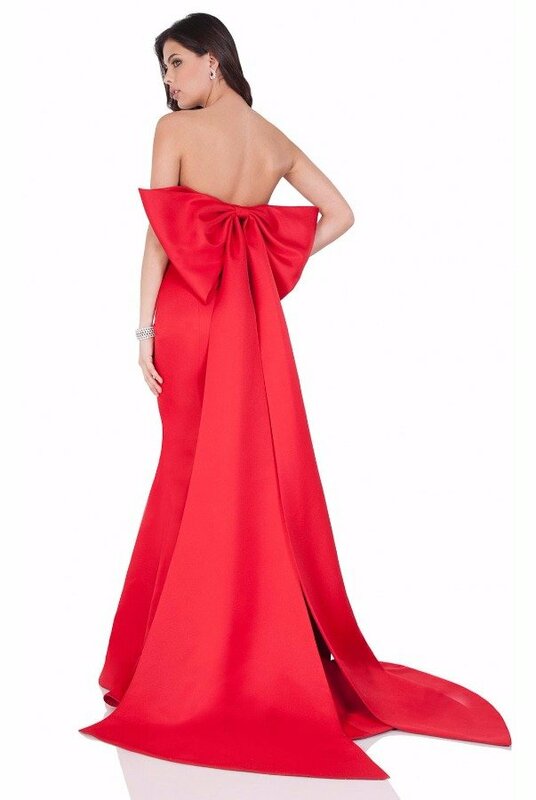 An oversized bow creates a statement look at back. It's a red carpet-worthy look meant for a special occasion.